Here at Commerce Guys, we make it a priority to help our clients get the most out of your Drupal project. You need continuous support to keep your site at its best, and make sure your return to operations is lightning-fast in case of a more urgent issue. Why is our support different? Drupal sites with or without Drupal Commerce can benefit from Drupal Application Support. Our team of experts is available to assist you, 24/7, to quickly assess your problem or question and exploit their numerous years of experience solving Drupal issues to get you back to operations fast. Commerce Application Support gives you peace of mind knowing that the creators of and experts in Drupal Commerce are always there to help, allowing you to focus on your business. 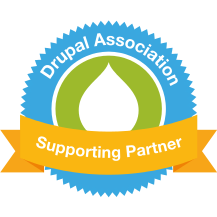 Our Support packages are designed to supplement your existing Drupal site support and ensure that your highest priorities become our highest priorities. Get Commerce Guys Application Support, starting at $580 a month.